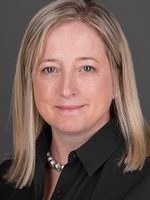 West Hartford, Conn.-based BlumShapiro (FY16 net revenue of $76.5 million) has admitted Amy Allen as partner, leading the firms Human Resource Consulting Services. With more than 25 years of experience, Allen has held human resources executive roles at Suffolk Construction, The Boston Globe, Staples and other large national organizations before launching Amy Allen Human Resources Consulting, which provided advisory services consisting of organizational change, talent management, human resources functions, benefits & rewards and learning & development. “Amy’s multi-year tactical and strategic experience in human resources brings a comprehensive skill set to the people side of our clients’ business,” says Brian Renstrom, managing partner Massachusetts and managing partner consulting of BlumShapiro. As a certified Senior Professional in Human Resources, Allen brings best practices in the areas of recruiting, benefits, compensation, organizational development, performance management, employee relations, policy development and compliance, HRIS, retention strategies, success planning, project management and executive coaching.